In a savvy bit of synergy, Call of Duty UK has partnered with fried chicken provider, KFC, to launch a new esports tournament. 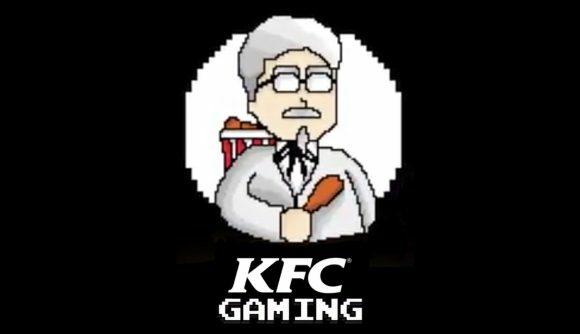 I guess now we know what that whole ‘KFC Gaming‘ thing was building up to. The KFCRoyale is KFC Gaming’s first foray into UK esports and will see 16 ‘content creators’ participating in Blackout duos with regular players, in a bid to win the grand prize of £50,000. Perhaps more enticing than the cash, though, is the promise of a KFC Black Card – a fabled item which grants the owner near-unlimited portions of the Colonel’s finest. According to irrelevant reality TV star Joey Essex, the card entitles you to spend £200 a day at any KFC eatery. That’s no poultry prize. We’re still waiting on the precise details of the tournament, but Dexerto has determined that the influencers taking part will be Cyanide, Daithi, Gaz, TommyT, Spratt, Vikstaar, MiniLadd, Marleythirteen, Terrorizer, PsySin, iTemp, MrDalekJD, Zerkaa and CodeNamePizza. If those look like a collection of nonsense words to you, then the KFCRoyale may not be your scene. Each of the 16 celebs will hold separate tournaments to find their own duos partner for the grand finals, which will take place on February 24. The first qualifier will take place on January 17, with further rounds coming in the following weeks. Call of Duty’s esports scene has typically been a PS4 affair, since Sony’s console became the series’s lead platform with Black Ops 3, but here’s hoping that this appetizing tournament will be open to PC users. One thing we do know is that only UK players will be able to take part, and existing pros will be not be eligible to enter.